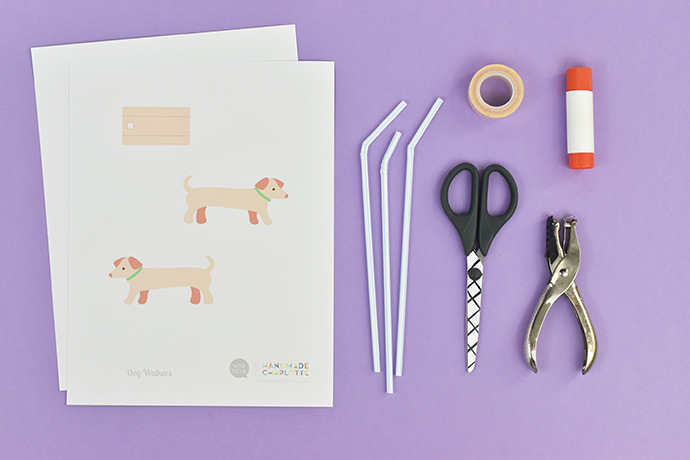 These printable pups want to go for a walk and you can help them out! 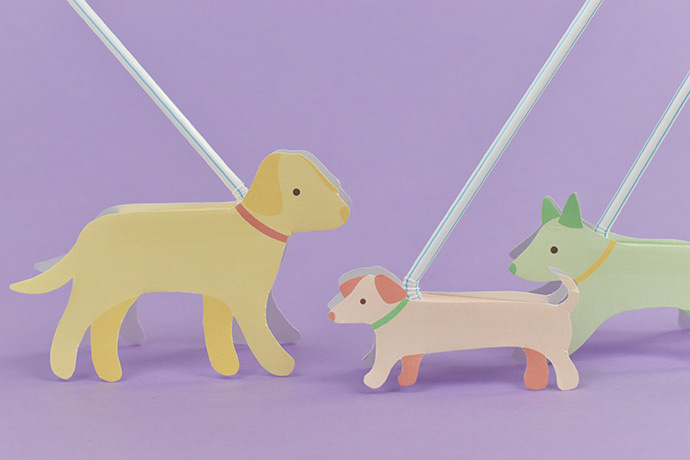 Put your plastic drinking straws to use as their leashes and let the fun begin. Plastic drinking straws are a problem for our environment. Instead of using straws one time and throwing them out, make them into a fun toy. 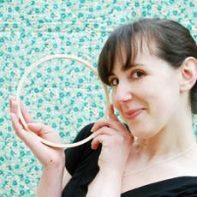 Simply wash a few used flexible straws to give them a new purpose! 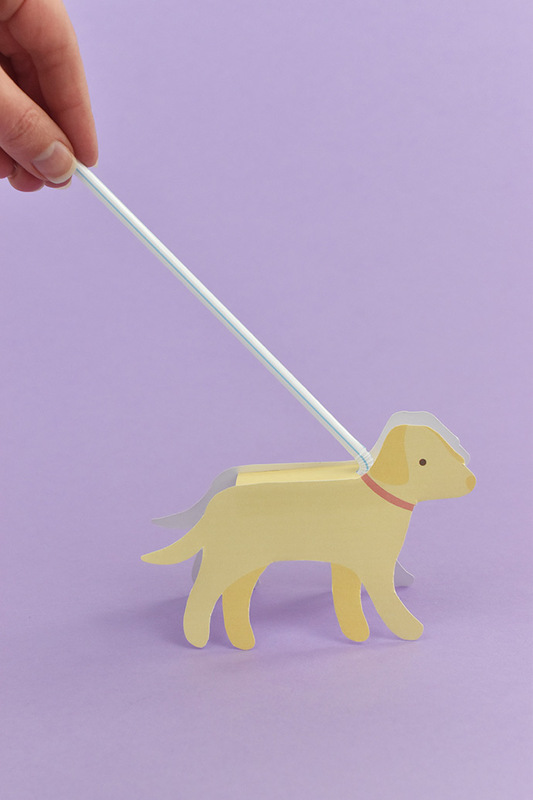 If you don’t want to use straws for this, you can also swap in pipe cleaners for the leash. 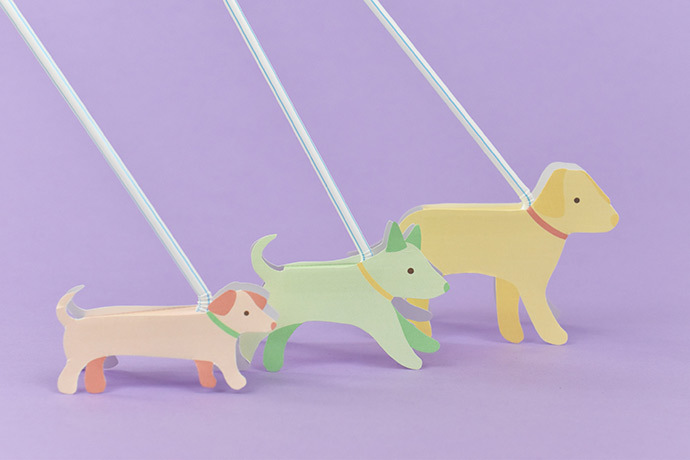 Either way is fun to play with as you walk these colorful dogs. Ready to get started? Because it’s time for walkies! 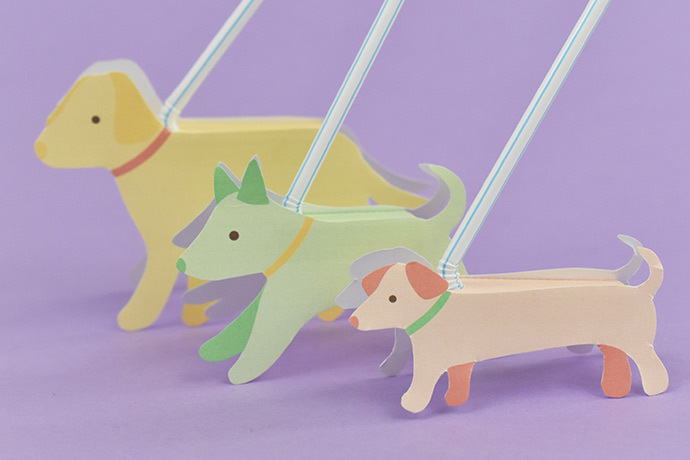 Print the dog walkers PDF on cardstock and cut out the shapes. Some of the tight angles are tricky to cut, but if you cut into them from the two sides (like you’re cutting a slice of pie), it’s easier. 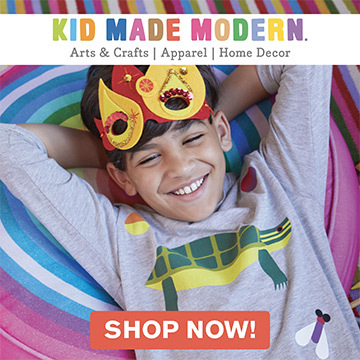 Fold the two edges of the rectangle piece on the dotted lines. Punch a hole at the marked circle. 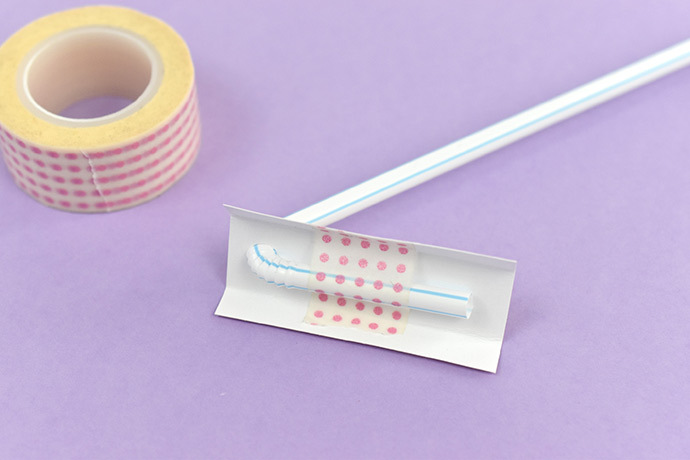 Extend the flexible straw all the way, then bend it down as far as it will go. 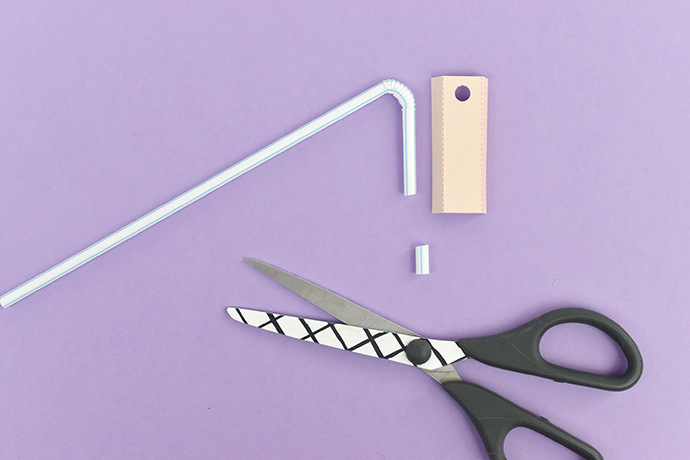 Trim the short section of the straw to make it shorter than the rectangle piece. For the green dog, you’ll need to trim it more than for the other dogs. 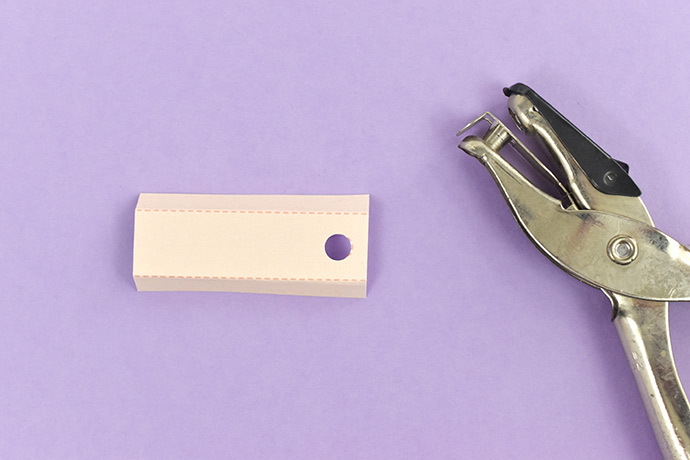 Insert the short section in the punched hole on the rectangle, then tape it to the non-printed side. 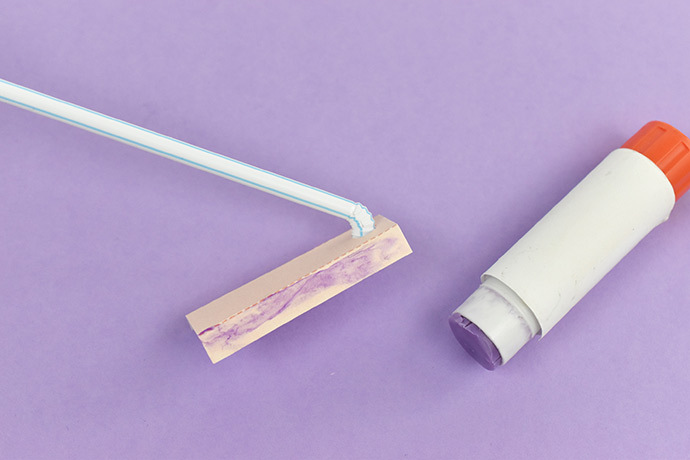 Apply glue stick to the two folded down flaps of the rectangle. 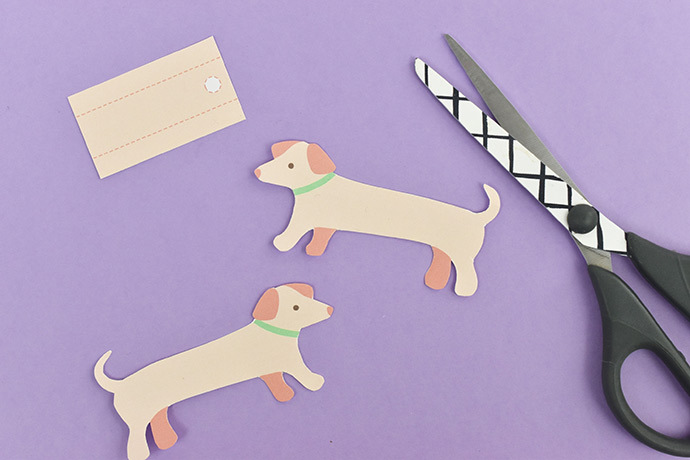 Stick the two cut out dogs to the sides of the rectangle. Make sure that the straw comes out near the dog’s collar. 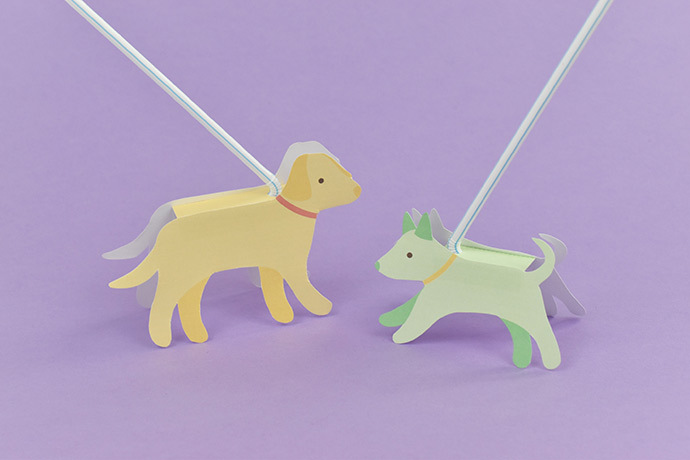 Dogs love other doggy friends (most of the time), so be sure to make a few more dogs so they can play together. Of course, remind them to stay friendly with each other! 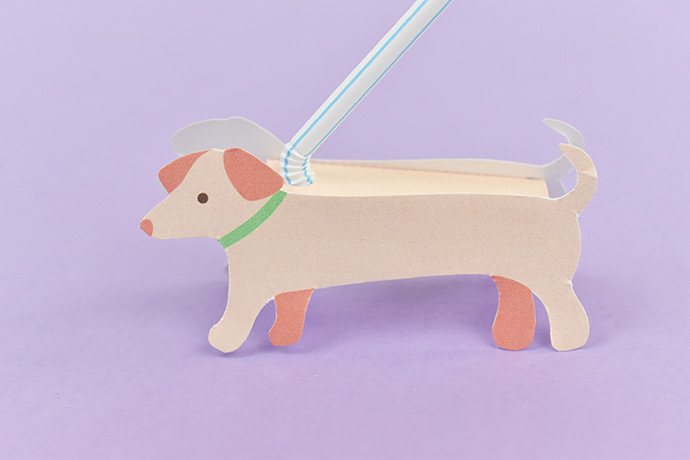 Now, grab hold of the end of the straw leash and take your new pup for a walk! 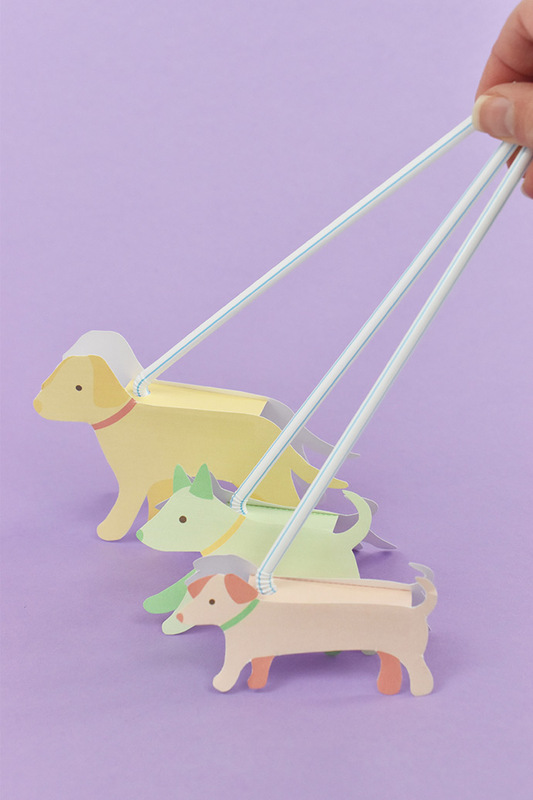 Walking these dogs just on their own is fun, but you can also use them with dolls so they can have some pets to play with. They could even start a dog-walking service. 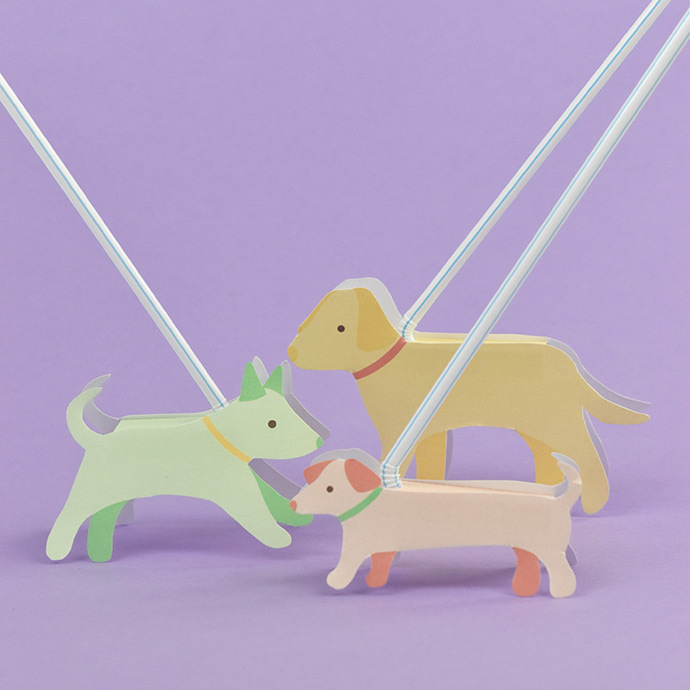 The good news is that with straw leashes, they won’t get all tangled up!